Bamboo vent grills (also called dampeners or registers) give your floor a finished look by covering heating and air conditioning vents with registers that match your bamboo floor. They are installed along with your floor and held into place by tongue and groove profiles, or dropped in, depending on which look you prefer. They can also be cut into the floor post-installation. Make sure to purchase them with your order so that they can ship with your flooring. If you need a custom bamboo trim or molding piece for your installation, feel free to pick up the phone and call one of our representatives today and we'll special order the moldings and trim for your project. There's no better choice for the environment than bamboo floor vent grill covers. 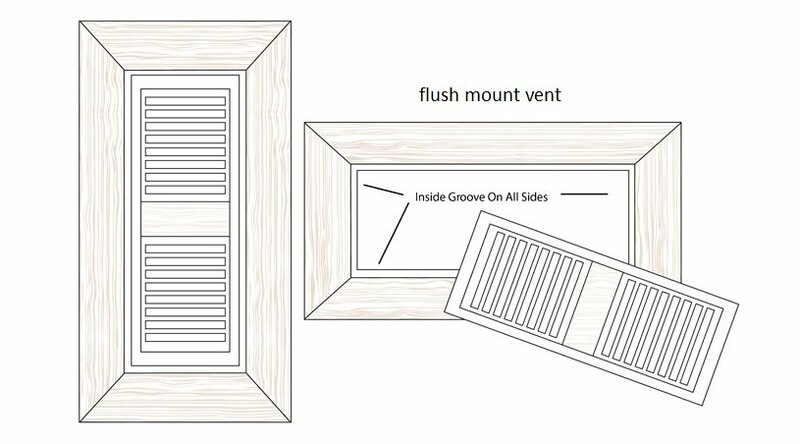 Designed specifically to match our flooring products, bamboo vents are an important part of a whole-room makeover. Our flooring is certified by the Forestry Stewardship Council and the US Green Building Council. When you purchase one of our products, you're investing in quality flooring that's environmentally responsible and will give you years of trouble-free use. Installing our bamboo floor registers is simple - simply lay the drop-in vents into place, or leave a hole cut out for flush mount vents and drop them right in.